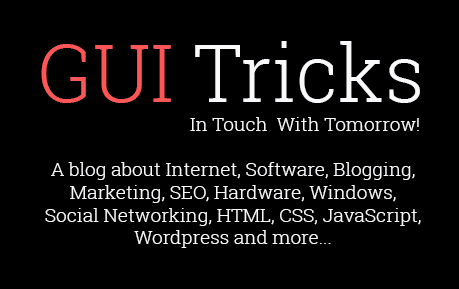 3 Crucial Things To Keep In Mind When Screening Applicants On Social Media | GUI Tricks - In Touch With Tomorrow! 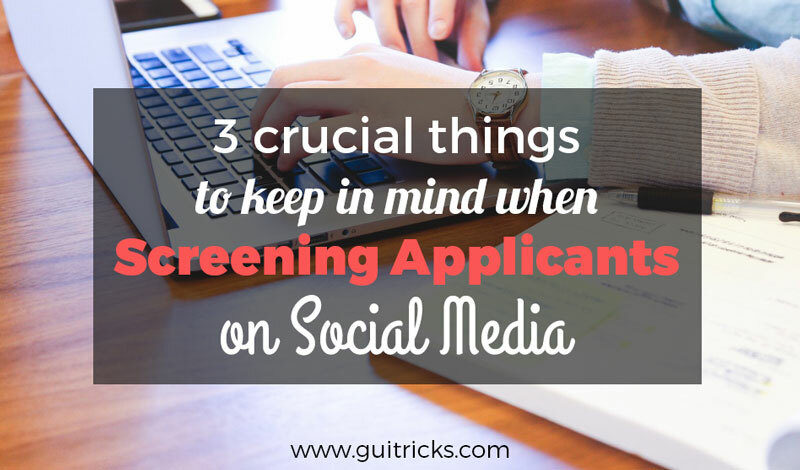 3 Crucial Things To Keep In Mind When Screening Applicants On Social Media - GUI Tricks - In Touch With Tomorrow! The vast majority of Internet users in developed countries have social media profiles. In the United States alone, about ninety percent of the population regularly uses the Internet. Further, roughly eighty percent of all citizens in the United States of America possess at least one social media profile, the bulk of them accessing such platforms on a regular basis. While most social media profiles - whether they're operated from remote, underdeveloped countries like Syria, or some of the world's most developed countries - are for personal use, virtually all sizable businesses connect with customers using Facebook, Twitter, Instagram, YouTube, and other Internet-based networking outlets. Whether your business even has signed up for just one social media account, or ads several posts each and every day, the possibility of conducting social media screening on applicants' digital presences for determining their suitability for your workplace is always possible. Following are several things every business owner should know about, or at least be familiar with, prior to conducting profiles searches. Let's dig in. Having a job, especially one that pays well, is a big deal to most Americans. Most businesses that go to the lengths of digging up information about applicants typically "pay well," at least in the minds of applicants. As such, subjecting certain applicants to unfair hiring practices is - by extension - a big deal to most United States citizens seeking employment. All considered, it's important to maintain consistency in hiring practices, no matter what those practices are. In this case, it's social media screening. Prior to each profile screening session, outline a list of steps that your screener - make sure it's not yourself, so outsource such needs to human resources, or a professional screening organization like Fama - must follow for every applicant. Further, consider setting time or content limits for how thoroughly your screeners browse through applicants' profiles. As a business owner, you're probably in charge of hiring decisions. Assign all screening duties to another employee - make sure she doesn't help debate which applicants to hire - or entity that offers screening services. While businesses aren't often - if ever - slapped with discrimination suits, it's most likely to happen in regards to hiring. Making hiring decisions assigned to someone not involved in actually combing through applicants' social media accounts is an effective means of protecting your business from such litigation. Never initiate social media screening protocol until applicants have went through at least one interview. Not only does it save time, but it may be unfair to screen applicants based on their online presences before even meeting them in person. It's important to never ask for their passwords and login credentials: doing so scares applicants away to other employers, lowers their confidence, and can even be against local and state laws. Lastly, always disclose to potential employees that you might browse through their social networking profiles. You don't have to inform them verbally, but it's always a good idea to include such information in packets of business-related paperwork upon interviewing them.